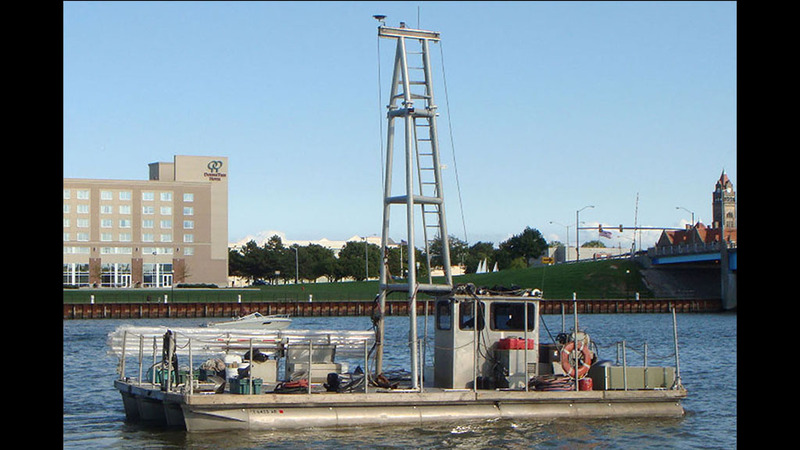 CanDu, Ocean Surveys’ 37′ x 16′ trailerable pontoon boat, featuring a 4′ x 5′ moon pool through which equipment are operated and a tower assembly for handling vibratory corers up to 30-feet long. 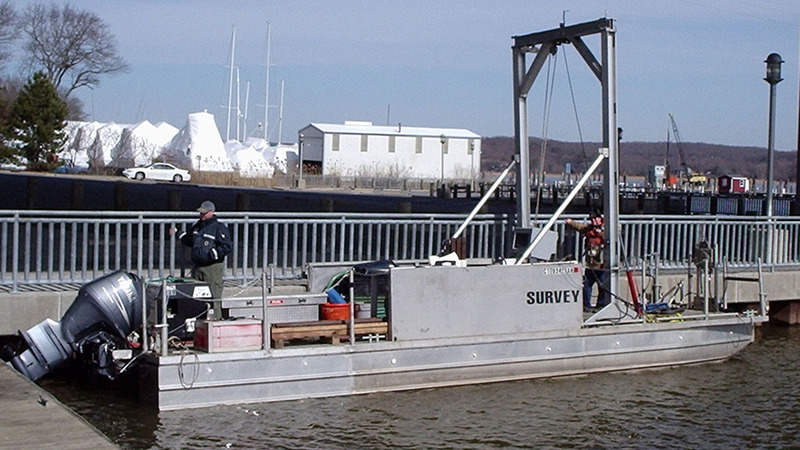 CanDu is capable of 15-knots and has a 75-mile operating range. 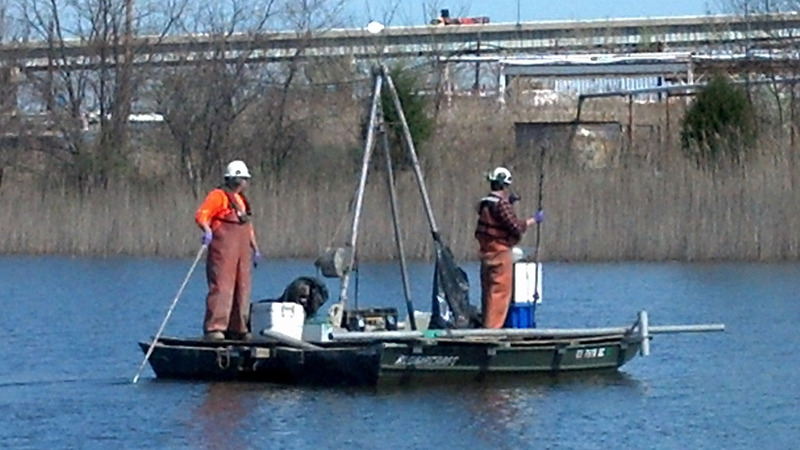 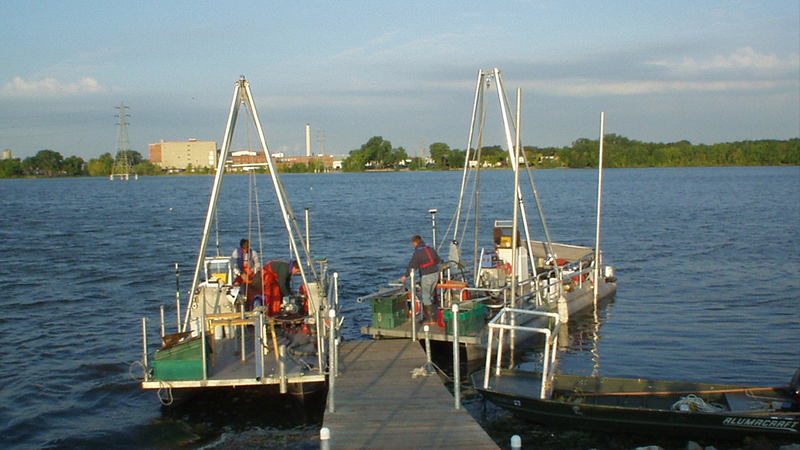 OSI also owns a number of shallow water platforms for sediment sampling.